How Much Will My Credit Improve Once My Bankruptcy Falls Off? 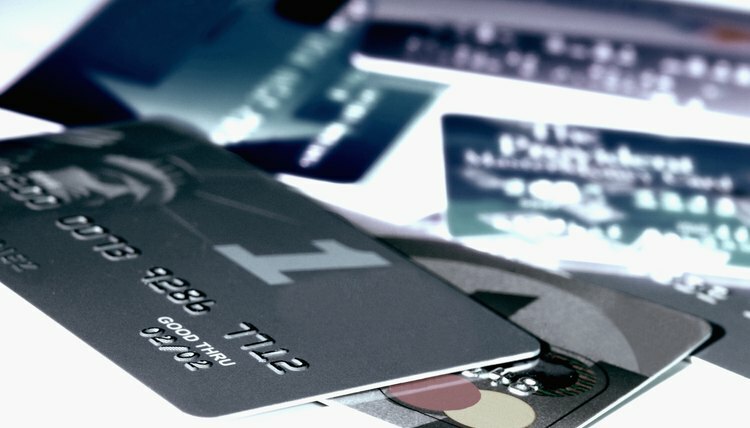 Bankruptcies fall off personal credit reports after 10 years, after which time a damaged credit score can begin to improve. There's no way to determine exactly how much your credit score will improve after bankruptcy, because it depends entirely on the decisions you make after the 10-year period. By actively working to improve your credit score, it's possible to raise it out of the "high-risk" category and eventually into the 700's or higher, to a maximum score of 850. Rebuilding a credit score requires patience and consistent financial responsibility. After a bankruptcy, you can expect your credit score to be well below 640. Credit scores can range anywhere from 300 to 850, with anything above 700 considered “low risk.” To begin the process of improving your credit score, check your credit report after the bankruptcy falls off. The closer to 300 it is, the more work you will have to do to approach 700. Actively work to boost your score for six months, then assess how much it has improved. Use that figure to guide your expectations for future improvement. For example, if you find that your score increased 30 points after six months of diligent debt management, you might set a goal of increasing it another 30 points in the next six months. This can give you a target towards which to work, although the exact improvement in any given period is never guaranteed. Never miss a bill payment including utilities, rent, mortgage, credit cards or any recurring obligations. Consistently paying bills on time can keep your credit score from temporarily dropping as you work to build it back up. Set up automatic bill payments whenever possible to avoid the risk of forgetting a due date. Create a spreadsheet or chart to regularly track your upcoming payments, and pay bills a few days early whenever possible. Work with your past creditors to establish affordable payment plans for any debts that were not removed by the bankruptcy, such as student loans. Maintain one credit card and one store credit account, but only if you can afford to make the payments. Do not use any form of debt to finance luxury goods or leisure and entertainment products. Do not allow your credit accounts to exceed 30 percent of their total limits at any given time and make larger than minimum monthly payments if possible. It may seem counter-intuitive, but actively using your credit is essential to rebuilding your credit score after a bankruptcy. Establishing a record of responsible borrowing is one of the most important factors in boosting your credit score. Check your credit report every few months to be aware of the factors influencing your credit score. Compare each entry in the report to your own financial records to ensure that debt balances and account histories are accurate. Dispute any inaccurate or fraudulent listings in your report as quickly as possible to avoid negative impacts. Personally contact any companies that have legitimately listed defaults or missed payments, and work with them to establish repayment plans to avoid further negative reports. If you ever have to miss a debt payment due to unforeseen financial hardship, contact your creditor long before your next due date. Work with the creditor to establish a future payment arrangement, and ask a service representative or manager to note your account with a "promise to pay." Specifically request that the creditor not report the missed payment to credit bureaus, and check your credit reports after a few weeks to ensure that it did not. Does It Matter if You File Bankruptcy Before or After Your Credit Cards Go to Collections?